Reins measured from the tips of snaps (including snaps). 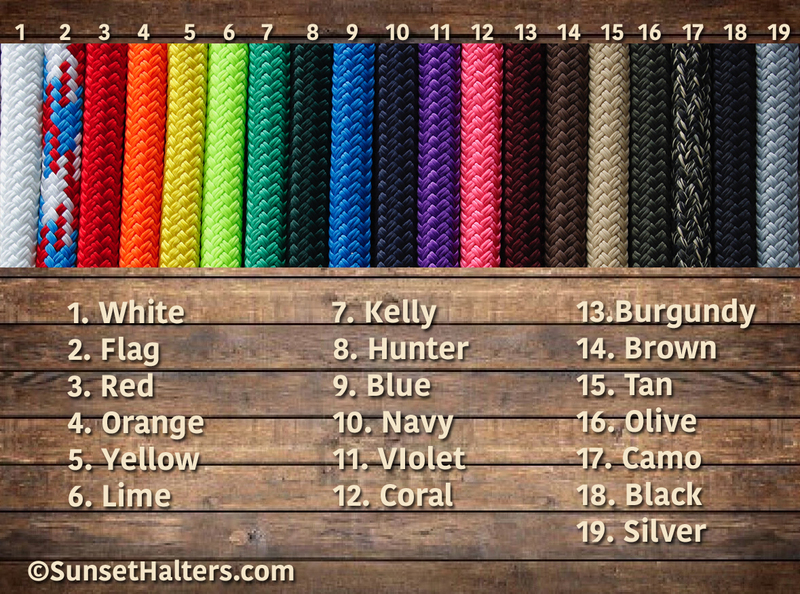 Made from premium 1/2" polyester yacht braid, manufactured right here in Washington State. This rope is abrasion, rot, snag, mildew and fade resistant. It's very easy on the hands, and very durable. 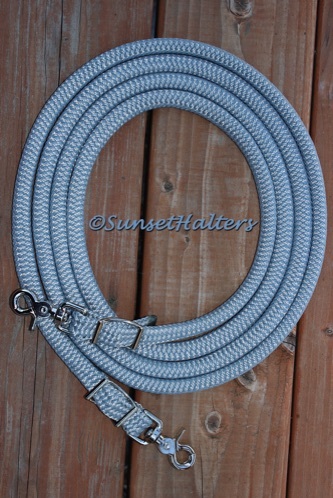 Included in this set are scissor snap ends and matching conway buckles. These are sturdy snaps that can easily be changed out, if they eventually wear out. Click color chart for larger view. Sunset Halters is not responsible for misuse of products. ©Sunset Halters 1999-2019. All Rights Reserved.